The three-prong test to determine the validity of measures implementing article 13.2 regarding the establishment of restrictions on freedom of expression: “Freedom of expression is not an absolute right; instead, it may be subject to restrictions, as Article 13 paragraphs 4 and 5 of the Convention provide. Article 13(2) of the American Convention provides for the possibility of establishing restrictions on freedom of expression where it states that abusive exercise of the right to freedom of expression shall be subject to subsequent imposition of liability. However, beyond what is strictly necessary, such restrictions are not to limit the full scope of freedom of expression or become direct or indirect methods of prior censorship. In order to determine subsequent liabilities, three requirements must be met: 1) the restrictions must be previously established by law; 2) they must be intended to ensure the rights or reputation of others or to protect national security, public order, or public health or morals; and 3) they must be necessary in a democratic society.” See I/A Court H.R., Case of Herrera Ulloa v. Costa Rica. Preliminary Objections, Merits, Reparations and Costs. Judgment of July 2, 2004. Series C No. 107, ¶ 120. The three-prong test to determine the validity of measures implementing article 13.2 is also applicable to determine the validity of measures implementing article 13.5 regarding the prohibition of advocacy that constitutes incitement. The Inter-American Commission on Human Rights has established the following: “Paragraph 5 [hate speech and incitement to commit a crime] makes no similar exception to paragraph 2, […] it follows that hate speech is governed by paragraph 2’s imposition of subsequent liability. […] Hate speech should be regulated like the other areas of expression provided for in paragraph 2.” See Inter-American Commission on Human Rights. 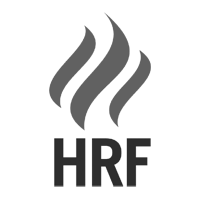 Annual Report Of The Special Rapporteur For Freedom Of Expression 2004. Chapter VII: Hate Speech And The American Convention On Human Rights, ¶ 38. 1 Restrictions must be previously established by law: “In relation to the requirements with which a restriction in this regard should comply, first, they must have been established by law to ensure that they are not at the discretion of public authorities.” See I/A Court H.R., Case of Claude Reyes et al. v. Chile. Merits, Reparations and Costs. Judgment of September 19, 2006. Series C No. 151, ¶ 89 to 91. “The grounds for imposing subsequent liability must be expressly, previously and strictly limited by law.” See I/A Court H.R., Case of Palamara Iribarne v. Chile. Merits, Reparations and Costs. Judgment of November 22, 2005. Series C No. 135, ¶ 79. 3 In accordance with the purpose for which such restrictions have been established: “The concept that those restrictions which are permitted must be applied ‘with the purpose for which such restrictions have been established’ was already recognized in the Draft Convention on Human Rights drawn up by the Inter-American Council of Jurists (1959). That Draft stated that such restrictions ‘shall not be applied with any other purpose or design than that for which they have been established’ (Inter-American Yearbook on Human Rights, 1968, Washington, D.C.: General Secretariat, OAS, 1973, at 248).” See I/A Court H.R., The Word “Laws” in Article 30 of the American Convention on Human Rights. Advisory Opinion OC-6/86 of May 9, 1986. Series A No. 6, ¶ 28. 4 Regarding the final part of the test, the Court has ruled: “The restrictions imposed must be necessary in a democratic society; consequently, they must be intended to satisfy a compelling public interest. If there are various options to achieve this objective, that which least restricts the right protected must be selected. In other words, the restriction must be proportionate to the interest that justifies it and must be appropriate for accomplishing this legitimate purpose, interfering as little as possible with the effective exercise of the right.” See also Case of Claude Reyes et al. v. Chile, ¶ 91; Case of Palamara Iribarne v. Chile, ¶ 85.